The book is the six character seal pattern of the year of qianlong of the qing dynasty, which is not very neat. At first, the writing style is illegible. There is a sense of self-defeating air between the writing lines, but it is clearly different from the writing style of the people's kiln in the same period. 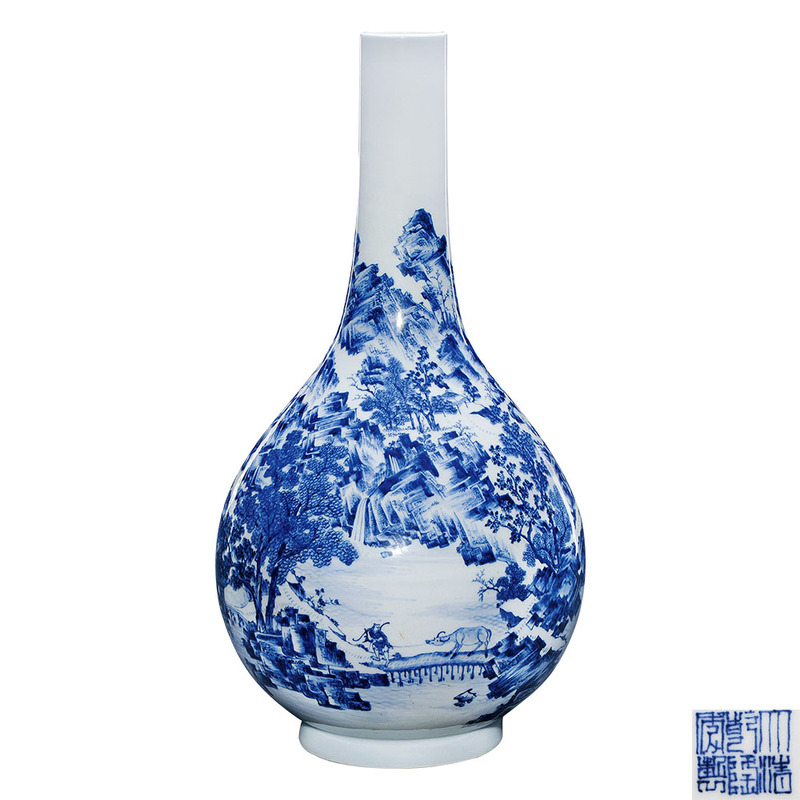 Although this product is clearly the object of the qianlong period, but its painting method reveals the typical style of yongzheng dynasty, from which we can infer that its burning time must be the early period of qianlong, otherwise it is impossible to preserve such a distinctive yongzheng legacy.